A messenger bag is unique from other types of gear we normally see. It’s very versatile and can be used for many different situations that make it a great product to consider. You can use messenger bags as an alternative to a large purse if you’re a lady, substitute a briefcase if you’re a business professional, switch out that backpack if you’re a student and even use it as your storage for transporting groceries and packages. 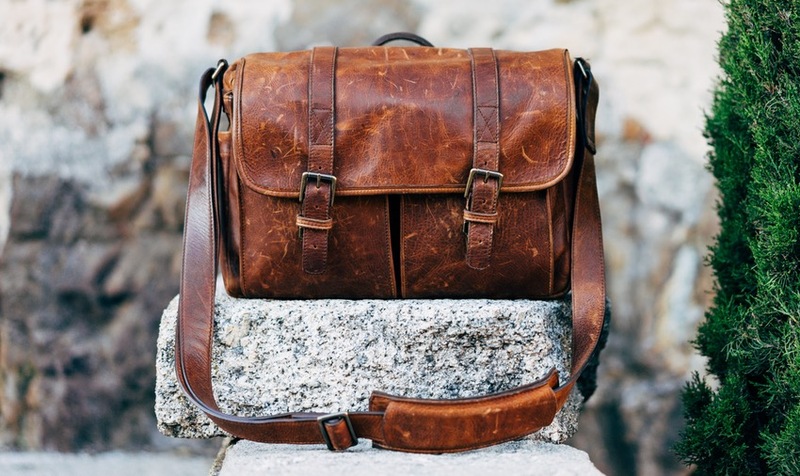 I’m sure there are many other reasons you would consider purchasing a messenger bag but if you’ve made it this far then you more than likely know that this is the bag for you, now it’s just a matter of which one. There are many reasons why someone would consider purchasing a messenger bag. We’ve listed what we consider the top four types of messenger bags below and some options for you to choose from for each category. 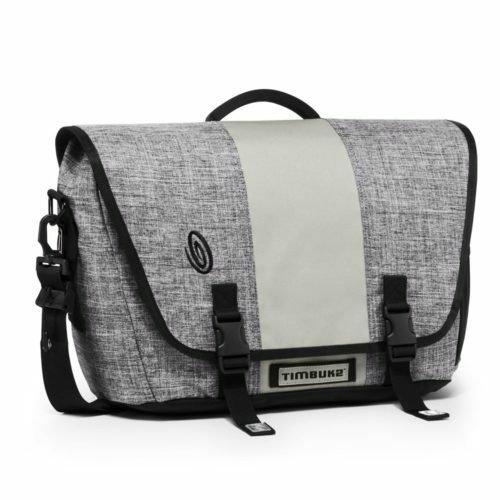 What is it: This is the Timbuk2 Commute messenger bag. Timbuk2 is a San Francisco original created more than 25 years ago and is consistently a best seller on Amazon. The Commute messenger bag comes in a number of colors to choose from, ten to be exact and 3 different sizes. This is of course if it’s not sold out. Concerns: While the Timbuk2 Commute messenger bag has many great features there is an area that should be taken into consideration. The material seems just a little thin. While this isn’t that big of an issue if you are hauling around books, you’ll just want to be aware of it while carrying around your laptop. While thin it is a durable ballistic nylon that will provide basic protection. Last thoughts: Nonetheless, the rest of the bag is extremely well made. It has excellent stitching and the straps, hooks and rings seem to be very sturdy. Timbuk2 backs this up with their lifetime warranty which is what you would expect out of a quality product and company. All of this functionality, quality and lifetime guarantee comes with a budget stretcher price tag for a college student who’s broke. If you can afford it, this is a great messenger bag, otherwise we have picked an additional option that is much more economical, the Mobile Edge Eco-Friendly Canvas. What is it: This is the Eco-Friendly Canvas messenger bag by Mobile Edge and is a number best seller for messenger bags and for good reason. Not only is it extremely affordable but it is extremely functional as well. Features: Now while there aren’t many options to choose from in regards to color, black, green and navy, and it only comes in one size, it makes up for that with a number of features. A Velcro backed Id holder that can be mounted both externally and internally allows you to show your id or badge when enter campus buildings. 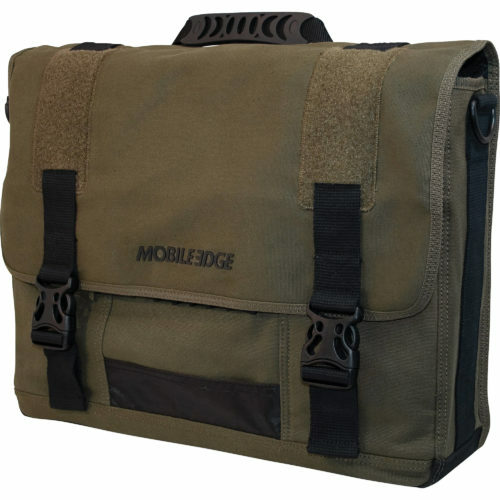 Concerns: As with any messenger bag there will be pros and cons and the Mobile Edge messenger bag is no exception. It does a lot right but there are a few design flaws that if fixed would take this bag to the next limit. It’s the odd placement of the carry handle and the fact that it’s not waterproof. The handle is actually located off center of the bag more towards the back and unless you have it evenly distributed with a laptop in the back it will be awkward when carrying. It’s a small concern but something worth noting. The bag is not waterproof and actually when using the shoulder strap it will end up pulling the sides out from under the center flap exposing the edges to rain, snow or whatever else might fall into your messenger bag. Last thoughts: Finally for the environmentally friendly the bag is of course, by its name, eco-friendly and made of all-natural cotton canvas that leaves a minimal carbon footprint. All of this at such a great price makes this an easy choice for best messenger bag for college. And to top it all off, Amazon Prime is half off for college students after your 6 months free trial, so you can get your two day free shipping! What is it: This is the Visconti Leather Messenger Bag. It’s the most expensive product on our list and rightly so as it provides exceptional style with superb functionality. 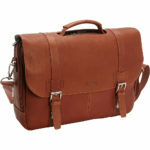 We reviewed many leather messenger bags and this one compares equally with bags costing $1000 plus. Concerns: A minor feature of the messenger bag that could use improvement is the adjustable strap is just slightly longer than expected. The buttons to snap the strap in place on the ends is also a little tough to button at times but if you don’t plan on removing it or just leaving it off then there’s no issue here. Last thoughts: Having reviewed the bag, I’m confident this is the perfect messenger bag for any serious professional out there. 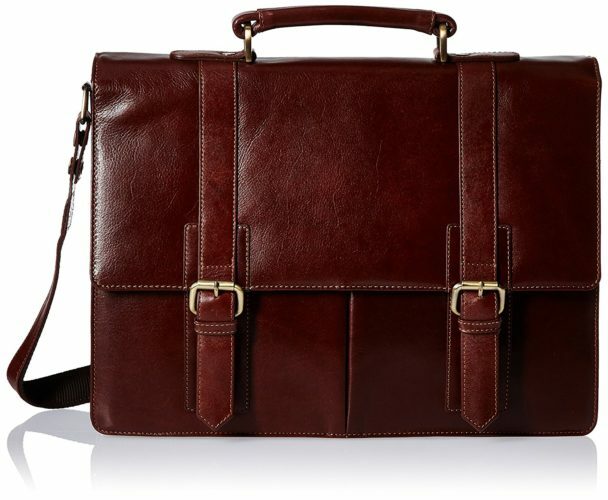 It can even be converted to be a briefcase for lawyers and businessmen and women who prefer not to use the strap. If this leather messenger bag just isn’t your cup of tea, a little too fancy for your taste or slightly out of reach of your budget then check out the Kenneth Cole Reaction Show Business messenger bag below. What is it: This next designer needs no introduction but we’ll go ahead and provide one anyways. This is the Kenneth Cole Reaction Show Business messenger bag. 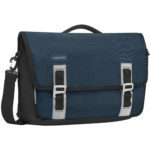 Kenneth Cole is known for offering quality products at reasonable prices and this messenger bag is no exception. Made of 100% genuine leather, each bag will be different from the other as each hide will have a distressed appearance with blemishes and variance in color unique to each one. Concerns: The Kenneth Cole Show Business messenger bag is a great looking bag however just be aware that although advertisements may say full-grain cowhide leather, this appears to be genuine leather which would make more sense for this price range. Last thoughts: Overall the entire bag looks great; it’s not too casual yet not too formal and can be used in a myriad of situations. With lots of options for organizing your papers, books, electronics and accessories you can easily find what you need when you need it. If you’re not sold on either of these leather messenger bags then check our in-depth review of the Samsonite Colombian Leather messenger bag. What is it: Not one but two Timbuk2 bags in this list, they must be doing something right. This is the Timbuk2 Command laptop messenger bag. It’s offered in 16 different colors and 3 sizes and is made of 100% polyester. Features: Of course that’s not all there is to this messenger bag. There are some common features that have come to be known with every messenger bag as well as a few unique surprises. Concerns: A very small aspect of the messenger bag that is more of an annoyance than anything is the fact that the messenger bag will not stand upright unless it has some contents in it. It’s a small issue but deserves to be mentioned nonetheless. Last thoughts: Timbuk2 hits another home run with their Command messenger bag and for the price it’s exactly what you expect to get. They don’t do anything crazy or over the top but what they do, they do very well. Aside from a small inconvenience this is a top laptop messenger bag. If you’re not a fan of Timbuk2, don’t want to spend that kind of money or just curious what else is out there then look below for our summary of the Brinch Oxford messenger bag. It’s part briefcase, part messenger bag and 100% stylish. What is it: The Brinch Oxford messenger bag combines functionality with style that is fit for a younger generation. Forget leather and boring black only messenger bags. 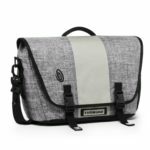 The Oxford messenger bag comes with 7 different colors to choose from and 4 different sizes to fit laptops ranging in size from 13.6” to 17.3”. Concerns: There’s not much that we could spot wrong with this bag but we do want to point out that although the hooks and rings are metal and not plastic, they are a cheaper metal that you’ll have to be somewhat gentle with. Basically don’t try swinging from a rafter with the strap and you’re good to go. Last thoughts: Although we couldn’t find much of anything wrong with this messenger bag just know that it is a relatively inexpensive piece of gear. Brinch is willing to fix issues with a bag or replace if necessary but don’t go looking for trouble! What is it: When it comes to the discussion of best bike messenger bags there are two companies that always come up for discussion. One of them is Chrome and this is the Citizen messenger bag by Chrome. 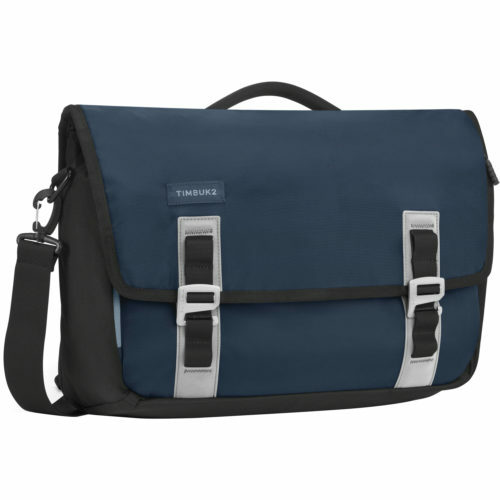 Concerns: The concerns I have with this messenger bag are fairly minor and I don’t believe should be a big issue if this bag is used as a bike messenger bag but there is no integrated laptop sleeve so you may want to add your own to provide extra protection. The other small concern is that if you decide to go with a buckle that is something other than metal colored just know that it’s painted on and susceptible to the paint scratching off, however, it doesn’t seem to chip off. Last thoughts: Of course as mentioned there are two types of bags to consider when looking at bike messenger bags and the other is from Timbuk2. This is a well-known debate amongst cyclist and one that I’m sure will continue on for quite some time. Instead of a small summary of the Timbuk2 Classic messenger bag, why not read our full review on the classic messenger bag and see what we had to say about it when we get more in depth! When looking for a new messenger bag you have two schools of thought. On the one hand you have the younger group and those looking to stand out and be noticed. On the other hand you have those who want something simple and/or to keep it professional. When deciding on a color for your messenger bag, think about what your intended use of the bag will be. Are you going to class or just want something to carry around town? Or are you going to use it for business. Take into consideration the material of the messenger bag. Are you looking for something light weight, maybe consider something made of nylon. 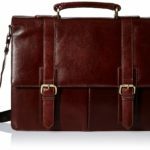 A professional looking to present the right presentation, consider looking at a leather messenger. Next consider your personality, choose something that matches you. If you’re bright and bubbly or quite, reserved and like neutral colors then obviously take this into consideration when looking through the available choice. Many of the messenger bags in this list have multiple options for colors and range from very neutral blacks and greys to loud and bright yellows and pinks. Find what speaks to you and rock it! 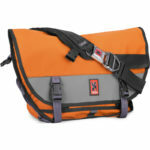 Comfortability might be one of the more important decisions when deciding on a messenger bag. I believe it really comes down to how you will be using the bag that will help you decide. For example, if you only plan on carrying the messenger bag by the handle or you will only be using the strap to walk from your car to your office or house then worrying about how comfortable the strap is might not be that big of a concern. On the flip side of that, if you are biking around all day and delivering packages or you walk pretty much everywhere you go, then choosing a comfortable messenger bag will be very important to you. Take into consideration how you will be using the messenger bag and you can eliminate or even open up some options that you may have ruled out previously. Capacity doesn’t sound like something you would consider when it comes to a messenger bag but in this instance, bigger isn’t always better. Of course you’ll want to again consider what you plan on using the messenger bag for as picking a bag that’s too large for your needs will start bothering you soon after purchase and something too small will drive you nuts and make you return your bag. Make sure to compare the sizes of the bags if multiple sizes are available. One thing to pay attention to is if the bag has a dedicated laptop compartment and if so what size do you need to fit your laptop. Another consideration is what type of contents you plan on hauling around. If you’re going to be carrying around packages or groceries you may want something a little bigger without any dividers. On the opposite end of that spectrum, if you’re only going to be taking papers and notepads with you then you may want to stay away from the messenger bags where you simply dump all of your contents into a giant hole. Food for thought. Most messenger bags today are waterproof while a few others are water-resistant and even fewer still are neither. Before you blow this off, there are a few things you’ll want to find out. First, what type of material is the messenger bag made out of? Consider the exterior and the interior. A good waterproof bag will provide at least a water-resistant exterior but it really comes down to the interior. You’ll want to make sure the inside of the bag is lined with a waterproof liner as this is what really stops the water from getting it. Make sure you also consider where it’s lined. If it’s only the cover and not on the bottom you don’t want you bag sitting in a puddle of water. Lastly, look to see if when the messenger bag is actually being closed, if there are any cracks or openings where water can still get in. What good is a waterproof messenger bag if it’s not properly covered? If you don’t need complete waterproof then most bags are at least water-resistant which provides ample protection from splashes and light rain but don’t expect to bike through a thunderstorm and have everything completely dry. This is another instance where you’ll want to figure out what you’ll be using your messenger bag for before you actually purchase it. To tie into what was previously said, are you going to be hauling packages and groceries or folders, files and notepads? If you plan on hauling packages and groceries on your bike then you’ll probably want a messenger bag without any dividers and a bunch of pockets which are basically useless at this point, look for a giant bag to dump everything in to. 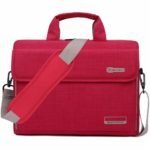 If you’re looking to keep your school papers organized or your clients folders in order, consider going with something that provides at least some resemblance of maybe a briefcase under the flap. With any product regardless of what it is, there is always a risk of defects, accidents, and just normal wear and tear that will break it down. Some messenger bags offer a lifetime warranty, a warranty for a certain number of years or even none at all. Of course this will depend on many factors but if you know how the bag will be used that will help you decide how long or even if a warranty if needed. The other big piece of figuring it out is, how much money are you spending? Obviously the more you pay for a messenger the longer a warranty you would like to have so take that into consideration. Maybe the single most important factor when it comes to deciding what to buy or not to buy. The price of a messenger bag can range anywhere from $20 up to thousands of dollars. This is self-explanatory and you’re smart enough to make the right decision when it comes to your money. Every messenger bag will have its strengths and weakness. 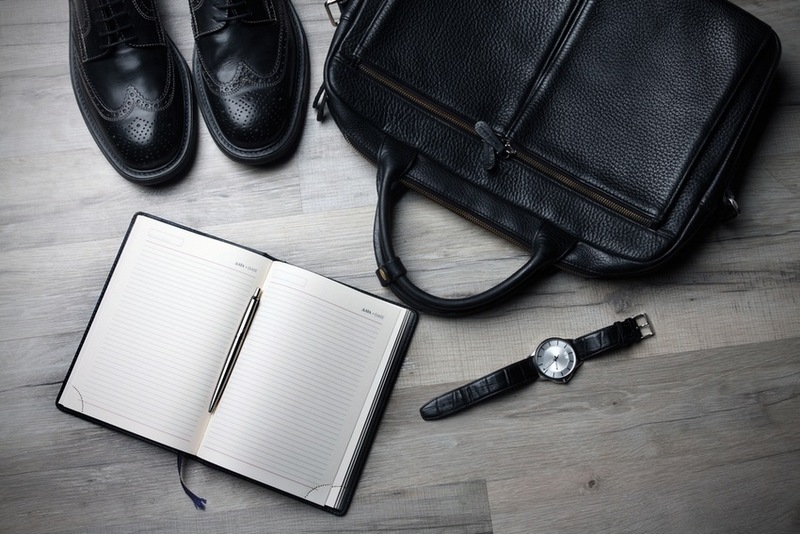 You may not be able to find the perfect bag you are looking for but this is a great place to start to at least get an idea of what suits you best. Messenger bags are excellent for many different people over various reasons from bikers and students to business professionals and travelers that are using it as a carry-on. 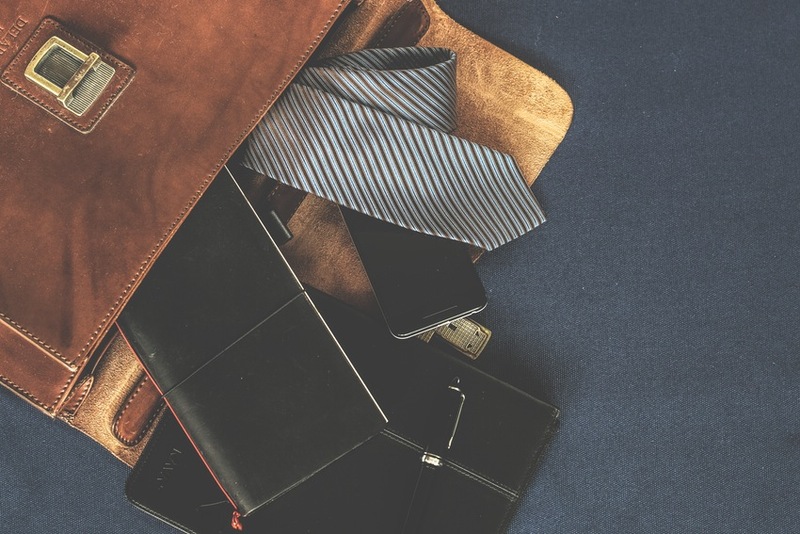 Before deciding on what to buy, make sure that you take into account all of the variables that come with a messenger bag and find the one that suits you best! Let us know what you’ve decided on or what you think are some of the best messenger bags to consider, this will help us refine this post through the years.